What about the Orphans in the U.S? What about the Orphans in My Own Home Town? Having worked with orphans internationally for nearly 20 years now, I’m often asked, “But what about the kids right here in the U.S? There are some kids in terrible situations here, too.” And I figure for every person who asks, there’s likely another three who wonder, but don’t give their question voice because they don’t want to appear confrontational. So let me begin by saying that I believe that every child conceived bears the image of God. He is worthy of love and opportunity, of protection and nurture. Every human is worthy of dignity and should be given voice. For us at The Boaz Project, our ministry is not about trying to value any one people group over another. But there are several reasons we have focused on children outside the United States. Below, I discuss four of them. I want to be careful here. Please understand that I am not ranking the extremity of need. I do recognize that children exist in dire, horrific situations here in America. And it grieves my heart. Know what that means? The U.S. is home to just 0.3% of the world’s orphans. More than 99% of the world’s orphans live outside of the U.S! While some children suffer unthinkable horrors in our own states (and if you decide to help one, I will cheer you on! ), most of us cannot fathom what it is like in a nation like India, where 9% of all children are orphans [iii] or Kenya, where 13% of all children are orphans[iv]. Though 111,820 children await adoption in the U.S. foster care system[v], they have a greater hope of a forever family than the majority of orphans in the world. Why? Because Americans account for nearly half of the adoptions in the entire world[vi], and 78% of those are domestic[vii]. 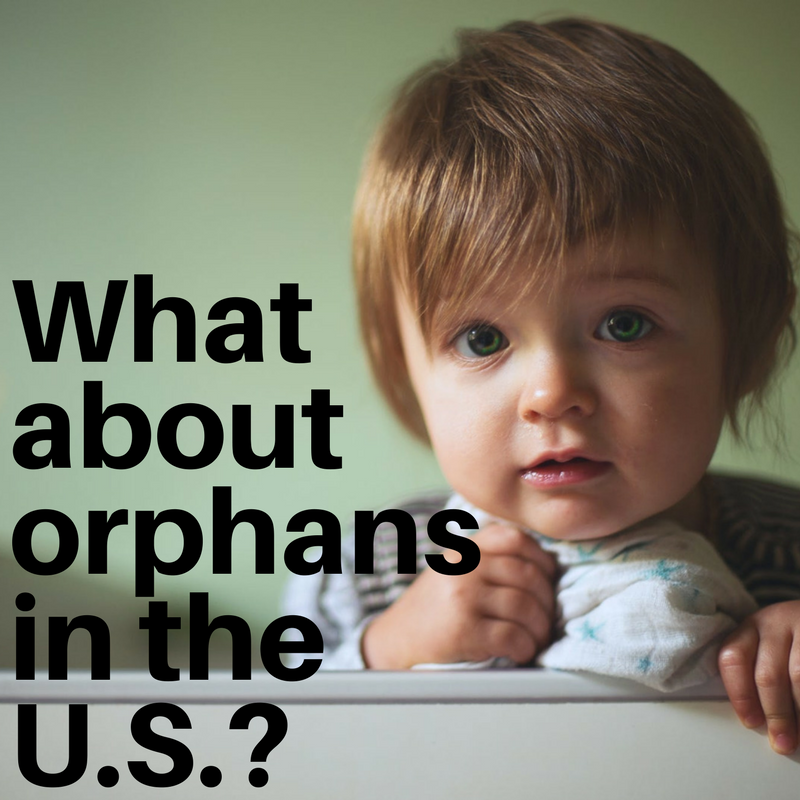 With a lower orphan population and a higher number of adoptions, adoptable children in the U.S. have a greater prospect of finding a family to call their own than most around the globe. The orphan crisis is overwhelming. No matter where we begin our efforts, someone will be left out. But if you were to find out that friends were adopting, would you ask them “Why adopt that kid and not this one?” I hope not. I hope you’d celebrate the expanding family and do all you can to support and encourage it. In the same way, we need to applaud every effort to help children who haven’t yet been—or will never be—adopted, regardless of their location. The task is great, and it will only be accomplished one child at a time. So instead of bickering about which child, let’s get busy helping one. The doors God has opened to us. 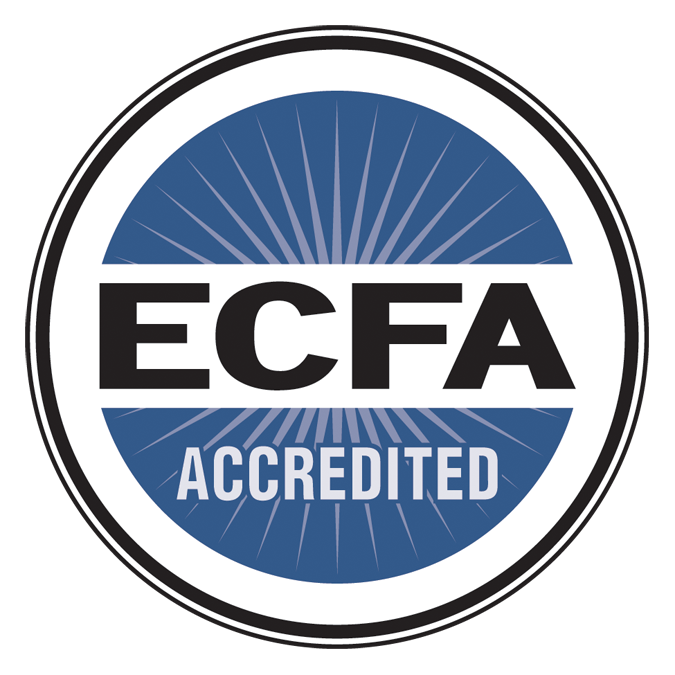 From its inception, The Boaz Project has been a movement of God, not the creation of man. It began as God orchestrated bizarre circumstances to bring help specifically to orphans in Russia. And over the years, He has expanded that vision and led us to other places where the need is significant. At every juncture, we have sought to be an organization of prayer, believing that God will reveal to us who He wants us to serve. So far, those locations have been outside the U.S. But we remain at the ready, committed to obey wherever He leads. These are the main reasons that The Boaz Project has focused on international orphans’ needs thus far. But please know that we love children here at home, as well, and admire those who care for them. No one person, organization or denomination is equipped to adequately care for 140,000,000 orphans. But if each of us does what we’re called to, those precious children will know they have a heavenly Father who loves them! In the end, the important thing is for each Christ follower to be faithful to do something to care for the orphans He loves so dearly. Ask God specifically for the salvation of the orphans to whom we minister. We have partners around the globe who faithfully plant seeds and water them, but only God can cause the growth! Lift students in central Indiana Bible Clubs as they will be filling Orphan Gift Banks to provide birthday and Christmas gifts for orphans. Pray that they are not only generous, but also touched by the needs of orphans in a way that sticks with them for life. Thank God for using amazing, generous folks like you to raise the funds we needed for orphans’ educational fees. Those funds provide tremendous relief to our homes. Request wisdom from God as we seek a new partner home in India. A new donor has committed to support the home, but we need divine discernment in selecting the right partners. Expressed so well. Appreciate all you, Jim and the teams do and so thankful that Brooke, Chris, and Rachel were privileged to be a part of the Boaz Project. It truly impacted all of their lives.